The average life expectancy at birth now exceeds 83 years in Japan, 81 in several other countries, and in East Asia, now exceeds 74 years. Advances in science and medicine mean we are living longer, healthier lives. It also means that there will be more and more of us who’ll outlive our partners, friends, and family – an older population, healthy enough to remain alone in their homes, but facing an everyday risk of accidents, Alzheimer’s, and social isolation. While the dramatic increase in average life expectancy during the 20th century is certainly one of society’s more laudable achievements, the fact that people are living longer (and potentially healthier) lives will inevitably require big changes in social, economic and government policies throughout the world. The US Census Bureau report entitled, An Ageing World, 2015, projects that the growth of the world’s older population will outpace that of a younger population over the next 35 years, with the 65-and-over population expanding in stark contrast to the youth population (under age 20) remaining almost flat. 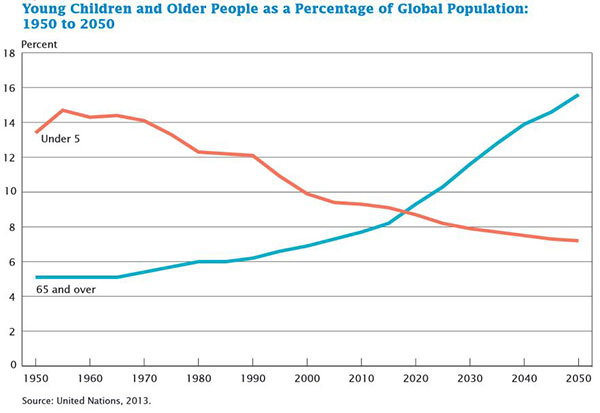 Meaning for the first time in human history, people aged 65 and over will outnumber children under the age of five. The huge shift towards not just an aging, but an old population will pose formidable consequences for rich and poor nations alike – with transformational challenges ranging from how to care for older people living alone, to how to pay for unprecedented numbers of pensioners – more than 1 billion of them by 2040. 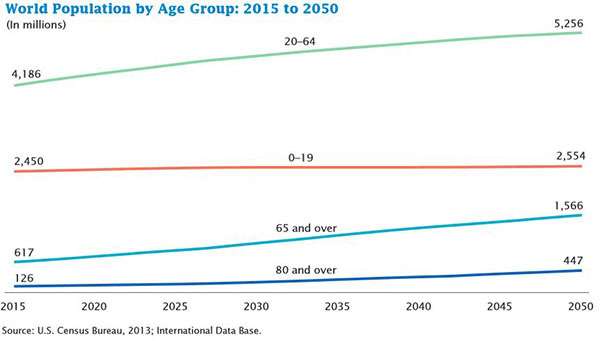 The impact of managing a world with more seniors than juniors will impact everyone – individuals, families, public and private organizations, governments and policymakers. As the population ages, the definition of care itself will need to evolve from a person’s physical well-being in a hospital or nursing home, to something which is expanded to include an individual feeling the best they can, within their own home. Care will no longer be simply something that happens behind a door in a structured setting, but rather something more integrated into the community involving care providers, policy makers and family. In these situations, the use of unstructured data gathered from multiple sources will combine to provide invaluable insights and actionable recommendations. Suddenly, the ability to keep an eye on daily behaviour patterns becomes central to administering sustainable care, managing recovery process, or even responding to the need for urgent intervention. How do we protect those grandmothers, fathers, siblings, and friends, while letting them keep the comfort of their lives, their daily routine? Despite the steady rise of social media by the elderly, research indicates the aging population (your parents and grandparents) experiences difficulties in adapting to technology. In reality technology is often designed and shaped with a younger demographic in mind. For any of you that have purchased laptops and tablets, or opened email accounts for aging family members, you are not alone when you encounter reticence to adopt technology. Whether it is privacy concerns, techno-phobia, or an inability to make use of a device due to physical limitations such as arthritic hands and fingers, diminished hearing or sight loss, the situation can be frustrating for everyone involved. What if the solution lay in the routine itself? If the simple objects we interacted with every day were given sensors and Wi-Fi, each step of that routine could be combined to form a picture of a life being lived, in real time. And, if we had that picture, we could know, within moments, if something wasn’t right. A signal could be sent. And help, or simply a familiar face, could arrive. We often think of the Internet of Things as a system to make life easier. What if could also create a higher quality of life for those in need? Our homes have always provided shelter, comfort, and routine… now they can provide data. Data that can be put into action to save a life or simply allow a life be lived on its own terms. We all find comfort in our routine, now we can find safety as well. By using IoT technology in the home, people are integrating rooms, devices and services while simplifying the life of residents. Whether in the connected, cognitive kitchen, living room or garage, residents can better manage their home and family life with IoT. For instance, a connected home uses data to provide residents with greater transparency and the ability to analyze their consumption of energy and other home services or resources. The connected home can even make recommendations to help residents conserve resources and manage cost. By monitoring connected home sensors, data and alerts, it is possible to improve the health and wellness of residents, in addition to equipping caregivers, health providers and concerned family members with the tools they need to monitor and care for residents. 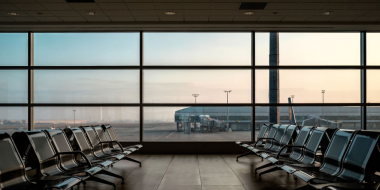 Combining capabilities such as video and audio, biometric sensors, presence detectors, leak detectors, and smoke, fire and air quality sensors, it is not difficult to deploy solutions which can reduce the risk of accidents or security problems. For example, a connected home can even alert residents, first responders and insurers if an adverse event does happen. By passively monitor elderly and vulnerable people in their homes, IoT connected devices can alert carers and family members when something “unusual” is happening. For example, if John’s ageing mother hasn’t made a cup of tea by 10am, that’s quite unusual, so John receives an SMS message to tell him that Mum might not be up and about yet. Even if she’s fine, she’d love to hear from her son checking she’s okay today! For wardens in sheltered housing accommodation, insight into which residents may not be going about their normal daily routine would help prioritise their visits during the day. For Health Trusts helping rehabilitate hospital patients back into their homes, being able to keep an eye on their daily behaviour patterns can give valuable insights into the progress of their recovery, or if more urgent intervention may be needed. Advances in science and medicine mean we are living longer lives. How do we protect our aging population while letting them keep the comfort of their lives, their daily routine? Everyday objects with sensors and Wi-Fi can track each step of that routine and form a picture of a life being lived, in real time, to the children and support systems caring for the safety and independence of their loved ones. 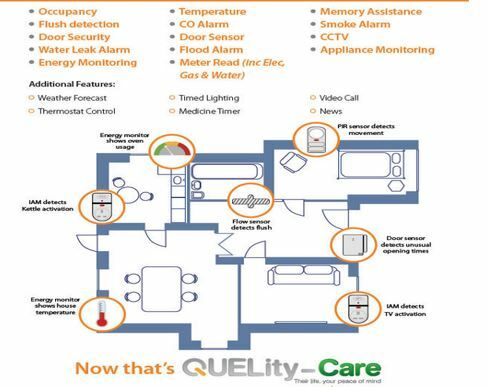 CurrentCare, a UK-based IBM Business Partner, has developed a solution for assisted living, using a variety of sensors including energy usage monitors on key appliances such as the kettle, door open/close sensors, temperature monitors, room-level motion detectors, pressure mats in or near the bed, or a toilet flush sensor. 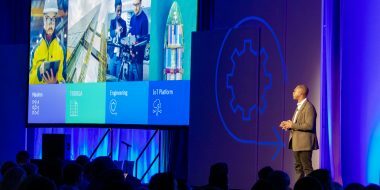 Data from these sensors, which come in a low cost, easy to install, set of equipment in the home, is sent over broadband to the IBM Watson IoT Platform, and is analysed by applications hosted on IBM Bluemix. Here, automated rules determine if something “unusual” is happening and in such a case, who to notify by what means, including SMS, email, Twitter, or direct notification to carer or monitoring agencies. Has the home help been today? How long did they stay? CurrentCare offers a prototyping kit, which includes a single Individual Appliance Monitor (IAM) and a Gateway device configured to send data to the Watson IoT QuickStart Platform, with a handy QR code which takes you directly to the page where your published data appears. 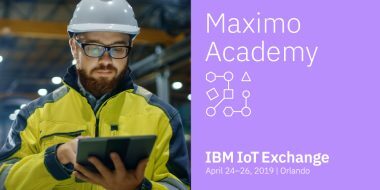 Each Gateway comes with connection information to enable an application to easily consume the published data, for example using the popular Node-RED IoT wiring tool on IBM’s Bluemix platform. 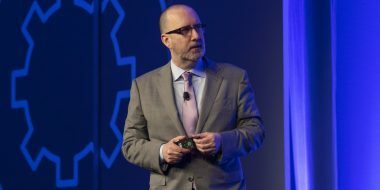 For deployments of energy monitoring and assisted living applications, the Professional version of the CurrentCare Gateway comes pre-registered to the Watson IoT Platform with a unique device identifier and authentication keys for secure access to the IoT Platform. 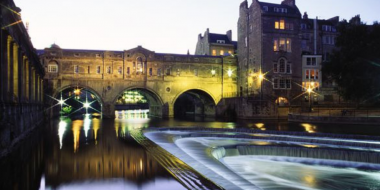 Each gateway can support up to 10 sensors, from a growing range of energy monitors and environmental sensors including temperature, motion, carbon monoxide, door switch, flood detector and pressure mat. 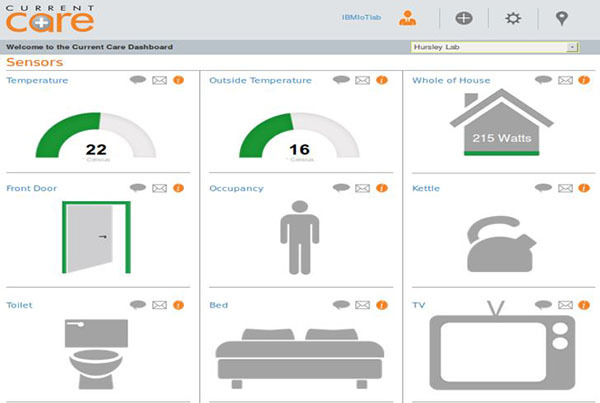 Learn more about IoT solutions for the home and IBM Watson IoT Platform. To learn more about CurrentCare or CurrentCost solutions, please email sales@currentcare.uk.com, or Andy Stanford-Clark.